Blue skies all around. In every direction and then some. What a day the HK Wedding Fiesta was! To those who were a witness to the love and celebration... can I get a TESTIFY? Oh yes! It was grand. 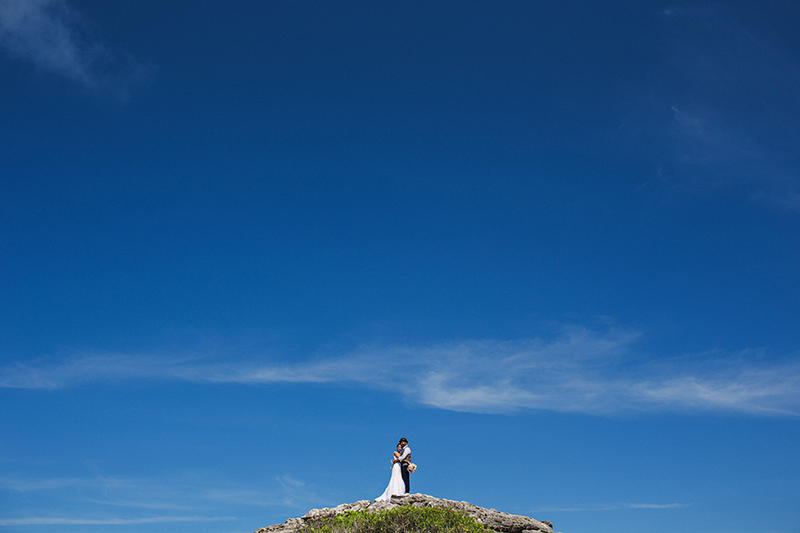 It was a mixture of luck and fate that brought us to Tulum for Katy & Mikee's nuptials. It's a long story, but all that needs to be said is that it was clearly meant to be. We are luckygirls in countless ways. First and foremost, we can now call Katy + Mikee friends. Gracious, funny and welcoming to us right from the get go. Their trust in us and belief in our work is the best compliment we can receive. We are so grateful to them for bringing us to Mexico and the wondrous little puebla that is Tulum. Gracias and thank you tenfold! See for yourself below how crazy these two are about each other and how incredible May 22 was for all. And please check back next week for Parte Dos as the attention to detail and gathering of decor across the world is sight unseen. Not to mention the celebration, libations and impromptu choreography that may just have topped all the dance floors in the world that night. In ode to Mikee's blog... Love & Fun- is our new motto.